Obituary for Carl "Bud" Moore | Beatty-Rich Funeral Home, Inc.
Carl A. 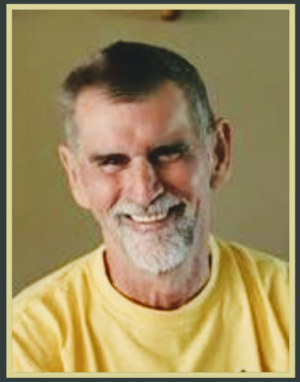 “Bud” Moore, 65, of Cold Water, MI. formally of Ruffsdale, Pa. passed away Sunday July 8, 2018 at the home of his daughter surrounded by family. He was born May 4, 1953 in Greensburg, Pa. Son of the late Louis C. and Norma I. Ray Moore. Prior to his retirement, he was a lineman for West Penn Power for thirty years. After his retirement, he moved to Cold Water, MI. to be closer to his family. Carl was an avid outdoorsman who loved to travel. He enjoyed hunting, fishing, kayaking and sitting by the fire or an endless adventure on his bike. He was a hard man to keep down, spending more time on the road or at Hillside Camp than at home. He was a leader for the AEWE Hiking trips through the Branch ISD. He enjoyed cars and riding his motorcycles. Carl’s life was filled with exciting experiences and great people. He loved playing his guitar and putting a smile on peoples faces. Carl’s greatest joy was spending time with his family, especially his grandchildren. He is preceded in death by both parents, sister Janet Hall, one brother – Louis Moore Jr. and one nephew – Jeffrey C. Hall. He is survived by one daughter Carrie McGuire and husband Dennis of Cold Water, MI., three grandchildren – Trae, Mackenzie and Gage McGuire of Cold Water, MI., three brothers – James (Marilyn) Moore of Yukon, Pa., Ron (Marg) Moore of Driftwood, Pa., Garry (Arlene) Moore of Dawson, Pa., three sisters – Shirley (Clair) Smith of Ligonier, Pa., Kathy Moore of Hutchinson, Pa. and Dianne Moore of Hutchinson, Pa., several nieces and nephews, his former wives – Linda Moore of Weedville, Pa., Cheryl Moore of St. Mary’s, Pa. and his sweetheart Denice Mack of Union City. He will also be missed by his special fur friends Oakley, Fiona, Ruby, Sophie and Polar. There will be a memorial service on Saturday November 17, 2018 at 2:30 pm at the Hilltop United Methodist Church in Madison, Pa. with the Rev. Randy Sweet officiating. Interment will be private. Beatty-Rich Funeral Home, Inc. Rt 136 in Madison, Pa. in charge of services. To leave an online condolence, please visit www.beatty-richfuneralhome.com.